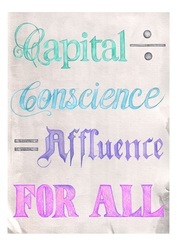 depending on who they want to reach or what opportunities are presented to them. 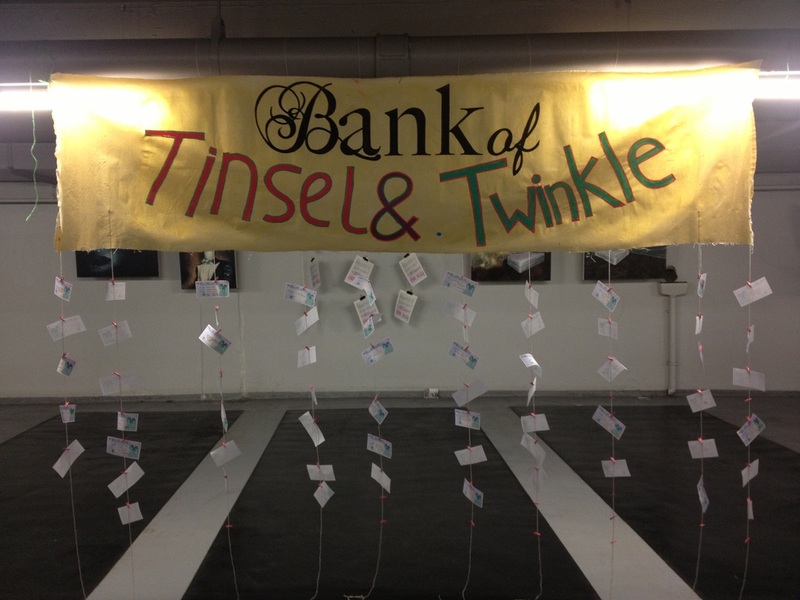 The exchange of thoughts happens on bespoke bank notes designed especially for The Bank of Twinkle and Tinsel. 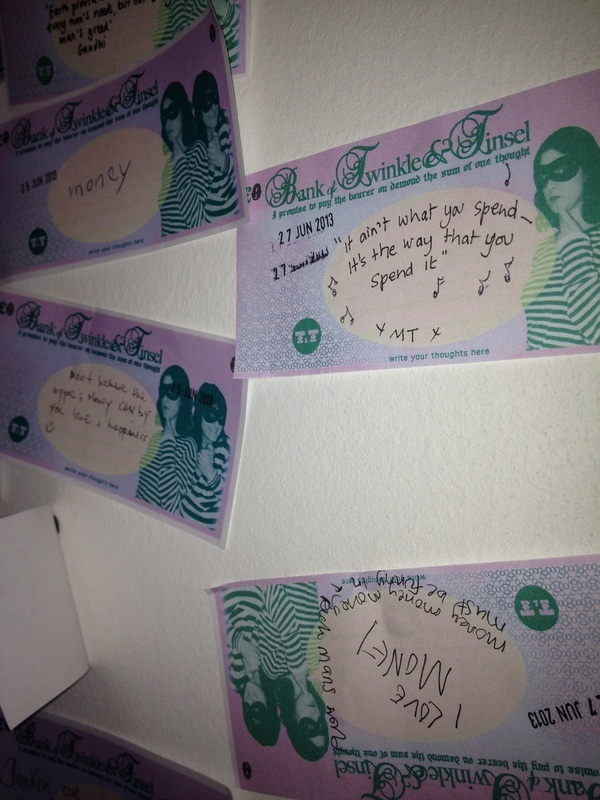 People are asked to share their thoughts by writing it onto one of these bank notes, which is then stamped with the date and added to the collection. 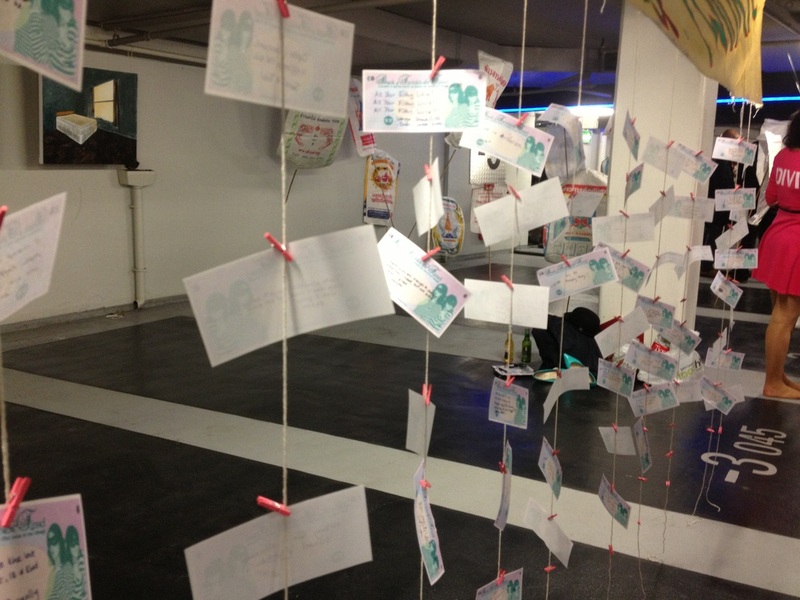 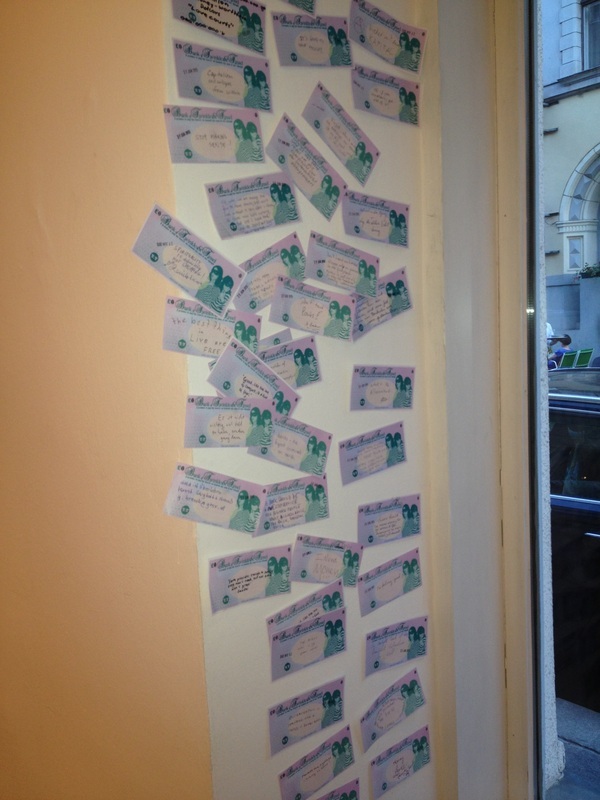 A thought on a bank note by Twinkle and Tinsel is then stamped with the date and given back to every person who gets involved. 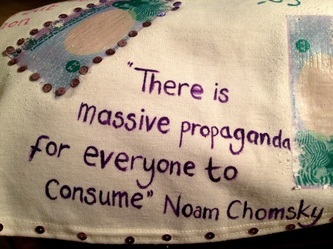 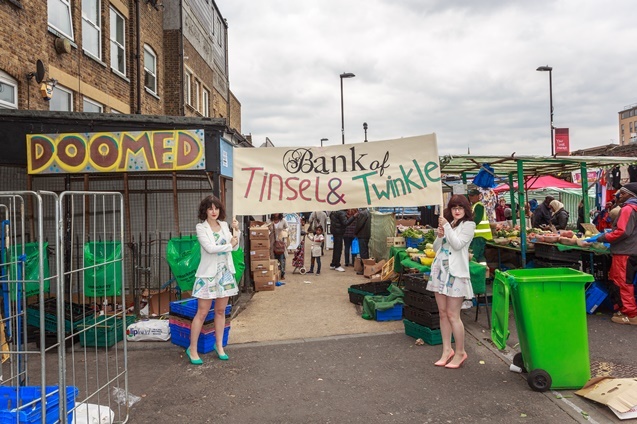 also at The Art Car Boot 2013 and the Frieze week alternative exhibition Big Deal No5 amongst others. 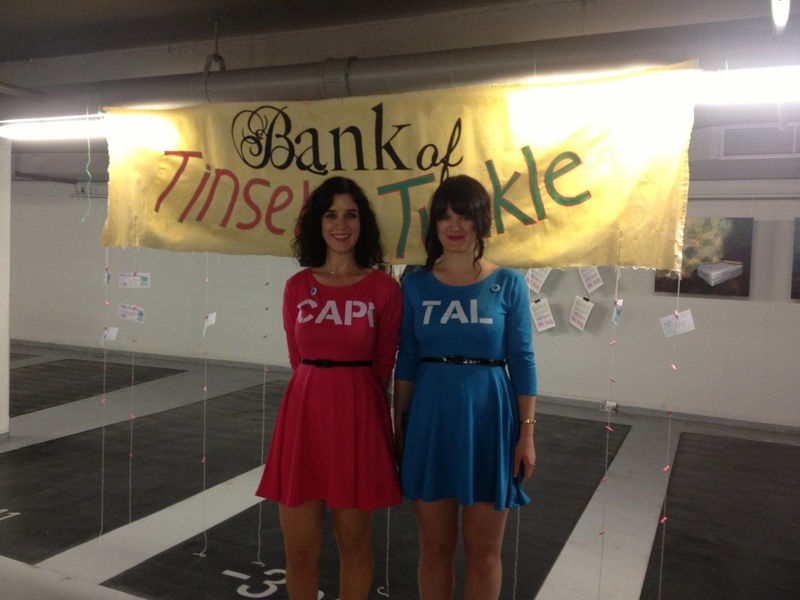 The collection of thoughts on bank notes is on-going and the bank is ever evolving, including the banker outfits the pair wear! 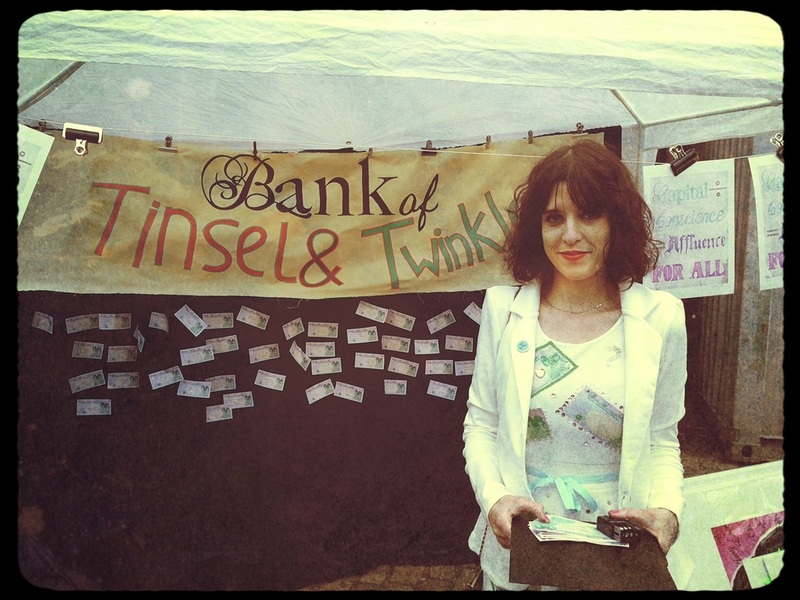 The Twinkle and Tinsel blog is regularly updated with news on up-coming events they will be at, and samples of bank notes they have collected. 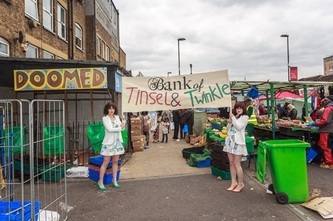 Below is a selection of images from the Bank of T&T, and you can visit the blog here. 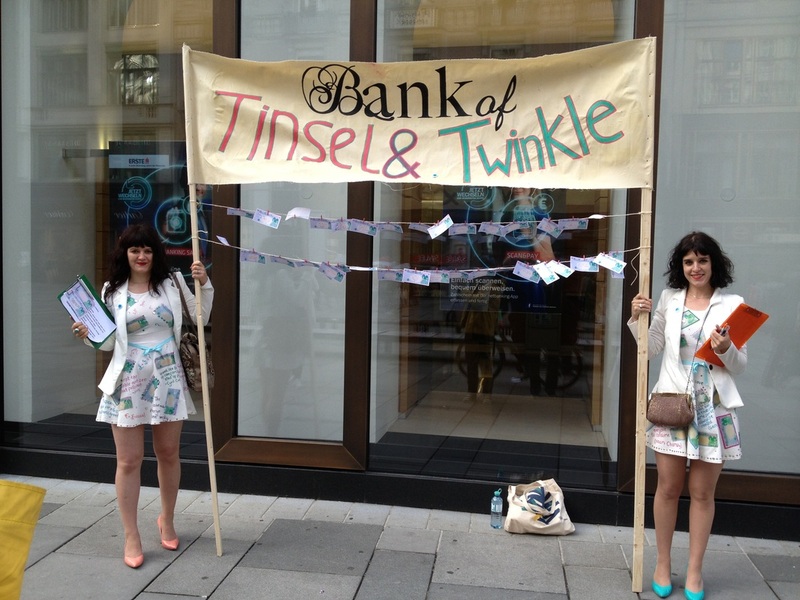 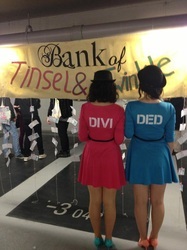 Twinkle and Tinsel also designed a text based print which is of the slogan they use to describe the bank's philosophy. 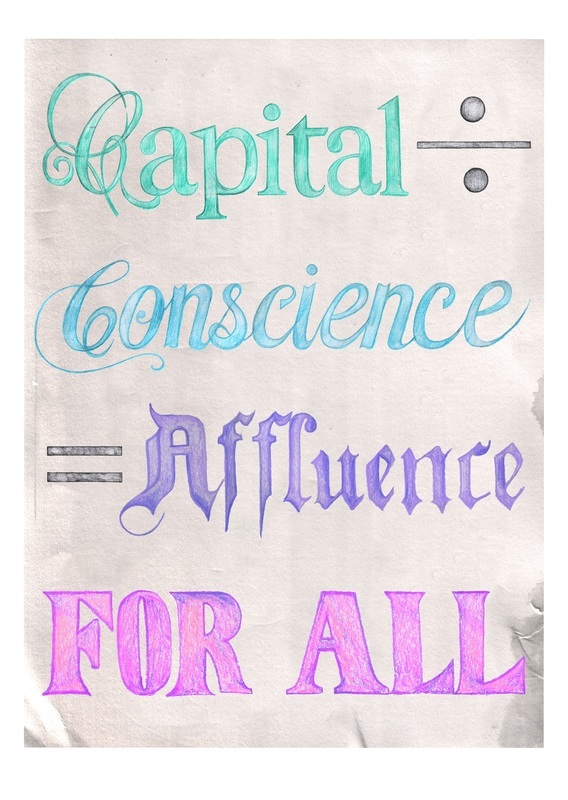 The prints are A4 giclees and are a signed limited edition of which 20% of proceeds are donated to the Just For Kids Law charity. If you would like to purchase a print or have an event you think the Bank of Twinkle and Tinsel would be a good addition to then feel free to get in touch here!